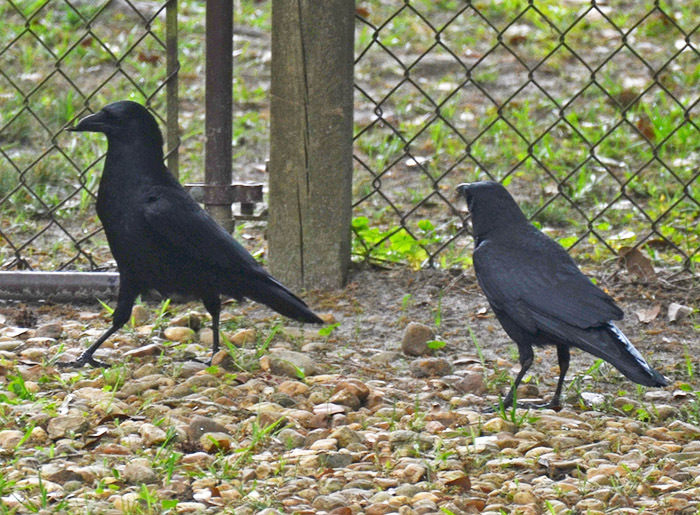 Yes, the continental US is actually home to three different crow species: the American, the Fish, and the Northwestern Crow. These birds are either American or Fish Crows, which are best distinguished by their calls (but not by me). If you are curious follow the first link which offers short sound clips. Also interesting: crows are intelligent and the oldest documented captive crow died at age 59.